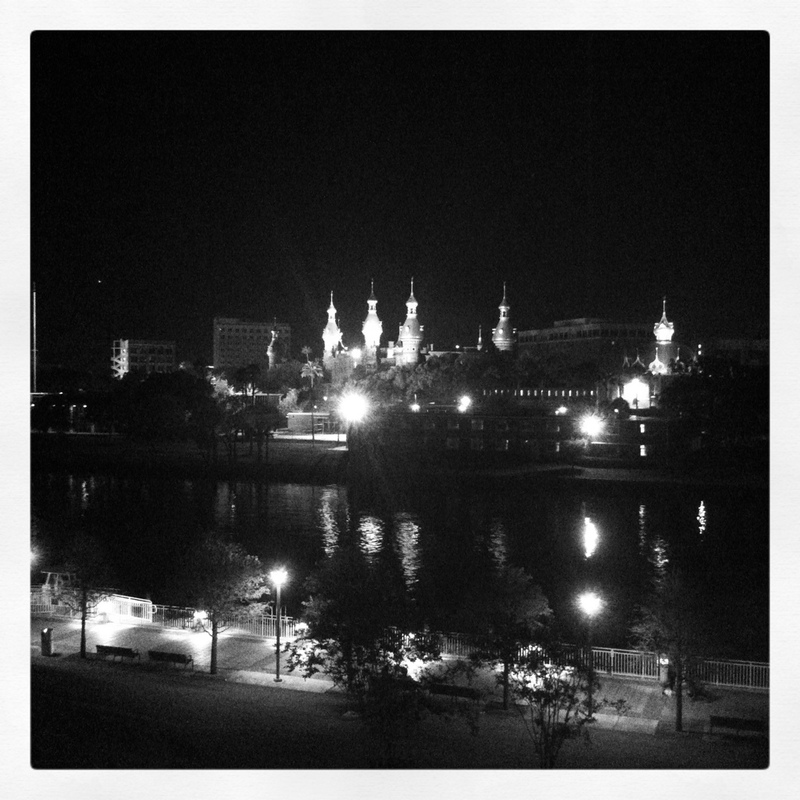 I’ve discovered a lot of great things in downtown Tampa in the last couple months. 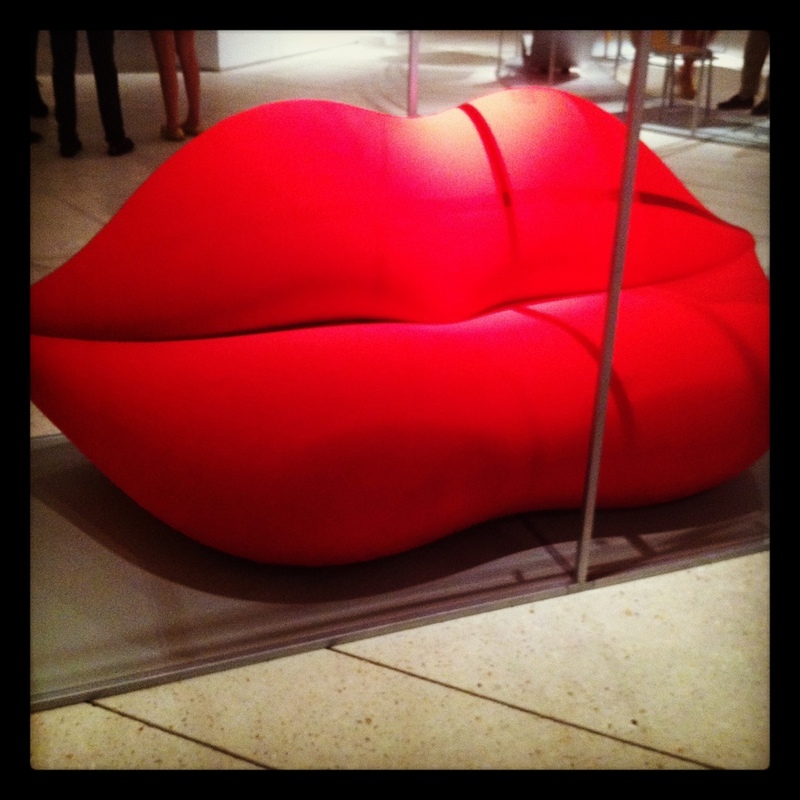 Just a few weeks ago, I went to an Art After Dark event for the Tampa Museum of Art, who was celebrating an art exhibit titled “A Hundred Years – A Hundred Chairs.” Since I hadn’t been to the museum before, I invited a friend from work and we gave it a whirl. Though much smaller than the art museums I was accustomed to, it was an interesting place and the event was very interesting. 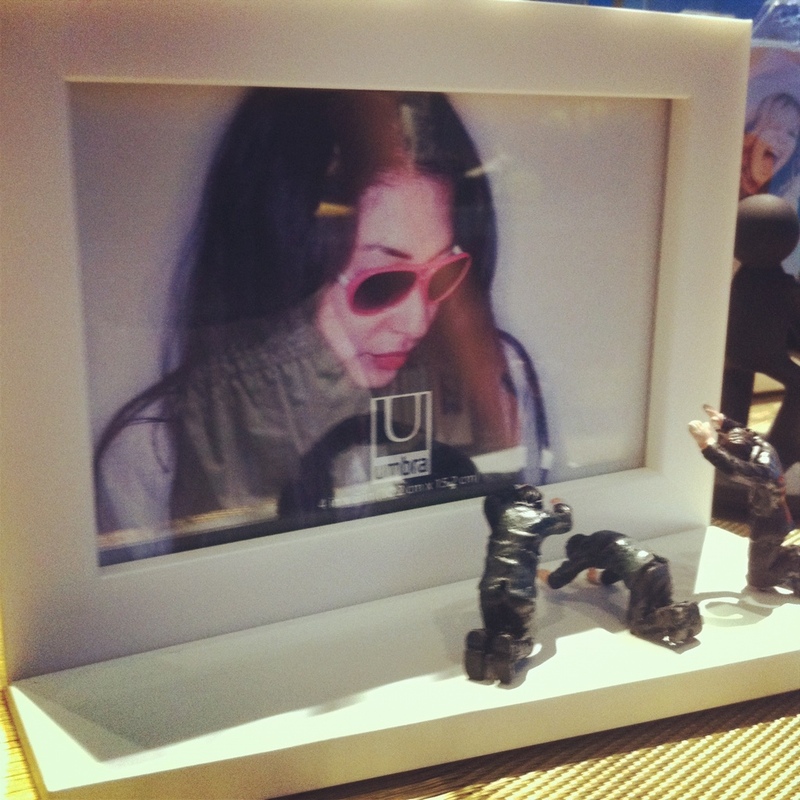 The exhibit was… different. 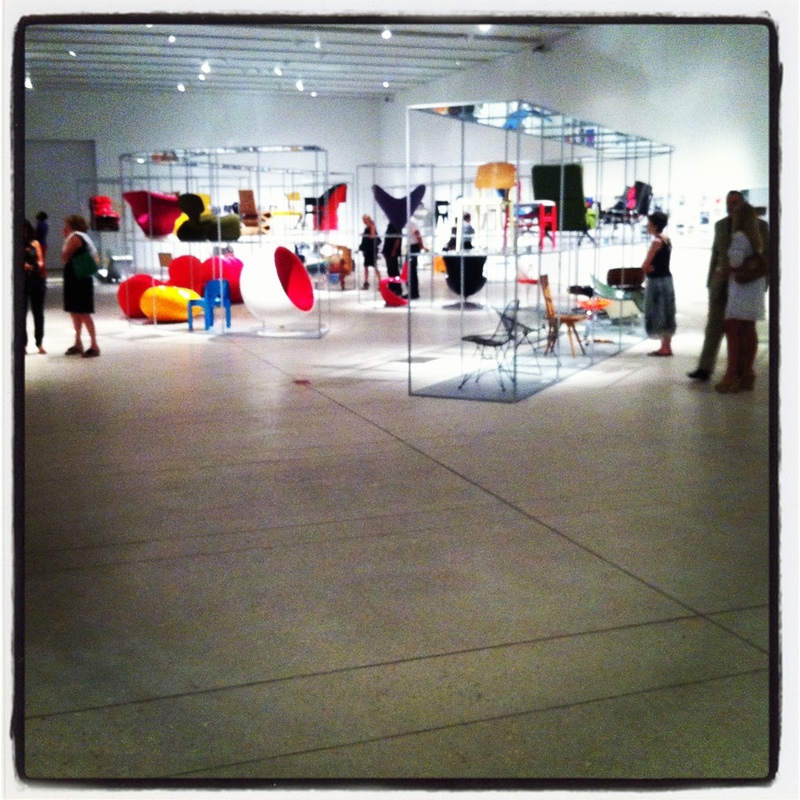 I think most of the fun was imagining the types of people who designed and used some of the chairs on display from the past 10 decades. There were some interesting ones. And some kind of useless ones. And the prices were shockingly reasonable for a museum store! I may come back here just to shop and try their cafe, which happens to be managed by my college employer, Mise En Place. The view from the second floor of the museum was also worth the visit. Hello my beloved UT. As we walked out of the museum though, we saw something unexpected in neighboring Curtis-Hixon Park though. A movie night! They were showing Beetlejuice, so we grabbed a seat on the grass and watched the end. I vowed I’d try to make the next movie night I saw. Well, I followed up that vow and went back Friday night! 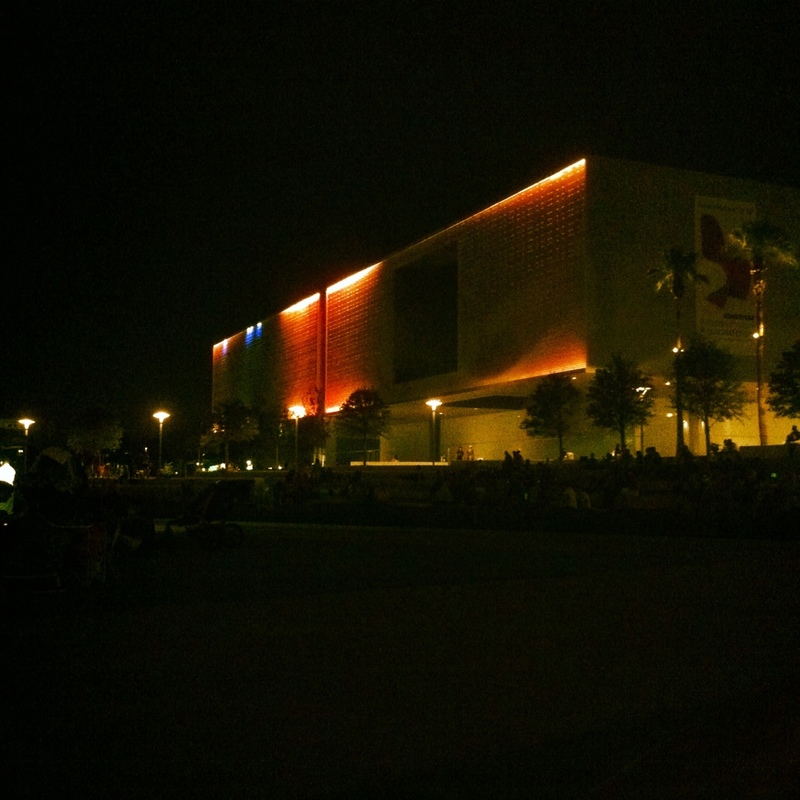 Now, the location of the outdoor movie is important so that you don’t have too much background noise, bugs, or lights. 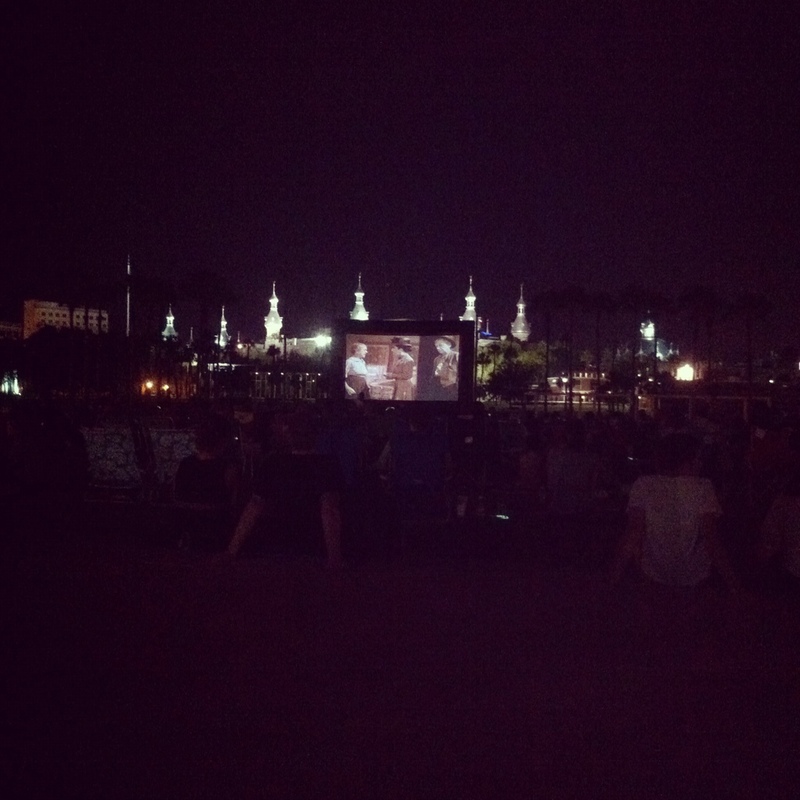 The folks in downtown Tampa’s Curtis Hixon Park have the outdoor movie night down to a science. 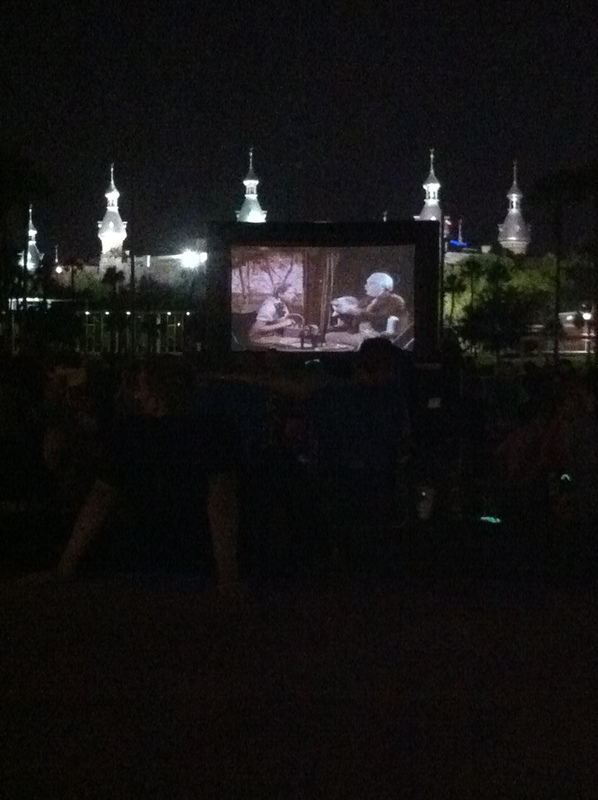 This past Friday night, Nick went to check out Lights on Tampa: Agua Luces and the screening of The Wizard of Oz, part of the Screen on the Green program which is sponsored by The Tampa Downtown Partnership. While we showed up at 8:45pm, which meant we missed the lighting ceremony, we got to see the bridges lit up and then grab a spot on the lawn to watch the movie. Thankfully we had beach chairs to sit in since the grass was wet from earlier showers, so we were quite comfortable as we watched the classic movie with the few hundred other people that were there. It was quite a spectacular night between the movie, the bridge lights and the Tampa Museum of Art’s building lights (which are a pretty cool site on their own). We stayed for almost the entire movie before I started dozing off in my beach chair and we needed to head home. Sadly, I think this was the last movie in the Screen on the Green program for a while, but I’ll be keeping my eyes out for other great events downtown. I’ve heard good things about Rock the Park concerts and the next is Sept. 6th, so I may check that out. It’s nice having so much free entertainment so close by though! Downtown Tampa has made a lot of progress since I was across the river at UT. Do you take advantage of free entertainment/events in your town or city? What are your favorites? I’m always a little intimidated by art events since I feel like I know NOTHING about art, but I’m always going to free music things around the city. The key with art events is to go with a friend. 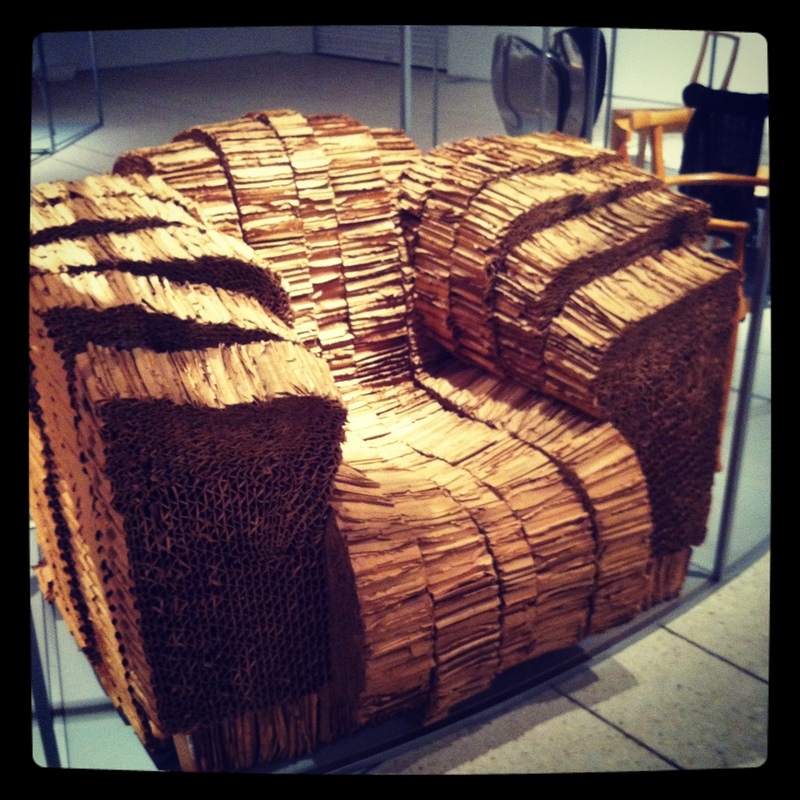 I did that this last time and we by no means took the exhibit very seriously, but had fun guessing why and how chairs were used. There was lots of giggling involved. It may not be technical, but I think art is what it means to you!